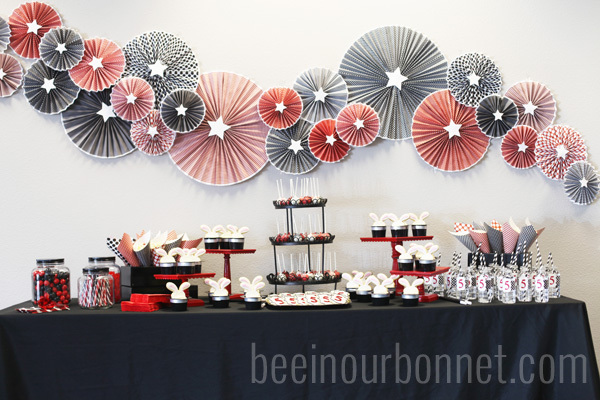 I’m so pumped to be sharing one of Katie’s parties again today! 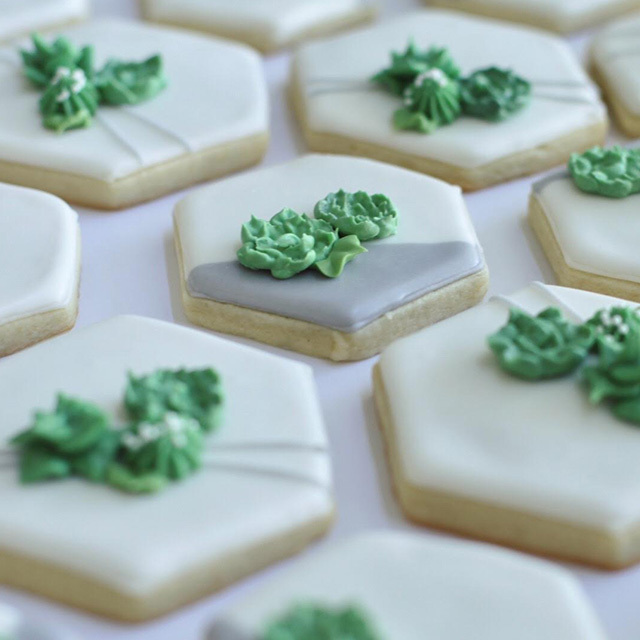 Katie is a long time friend and party planning genius. My kids act as though she’s giving them Disneyland tickets when they get an invitation for her kids’ parties. And I act as if I’ve won the lottery if I get asked to help her with her treat tables. I love being a small part of the party planning process with her! 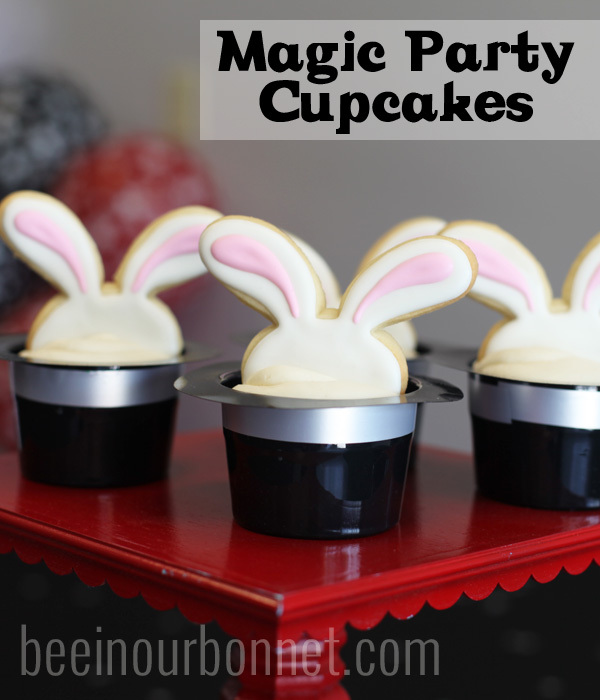 She recently put together the cutest magic party I’ve ever seen! 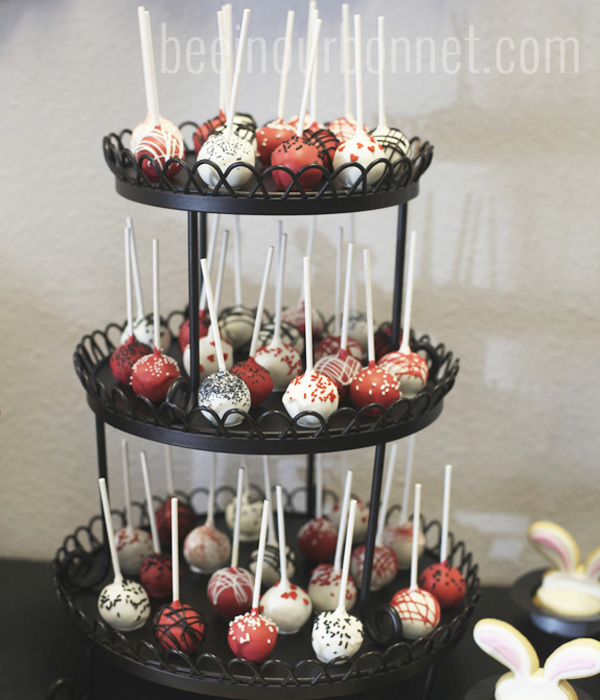 I also did various cake pops in her color scheme. But the food table was all decked out by Katie! She doesn’t leave out any details. 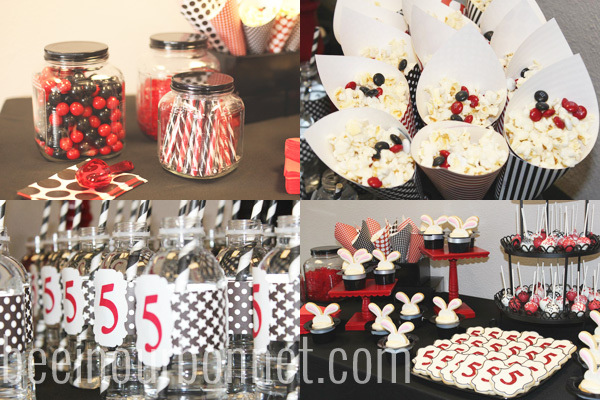 From a really nice table cloth, and red and black m&ms in the popcorn, to decorated water bottles. 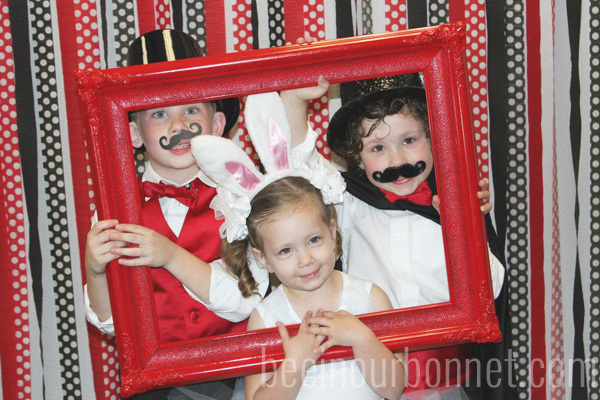 It takes me a while to soak in all of the cuteness at these parties. 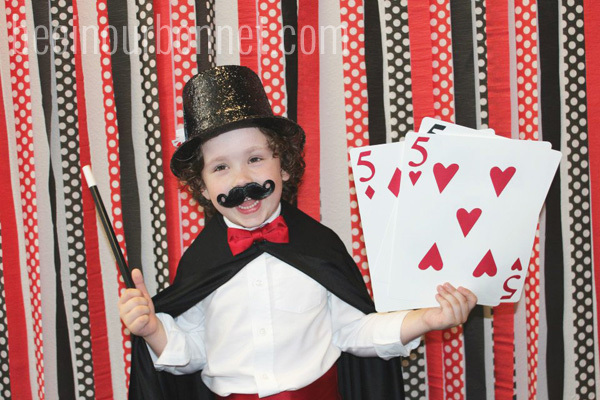 Of course no magic party would be complete without a magician. This one came complete with card tricks, a dove, AND a rabbit appearing out of thin air! The kids were mesmerized! I loved this sign Katie made out of an old frame and Christmas lights. I’m going to try one of these light up signs one of these days. With Katie’s inspiration and Kathryn’s masterpiece, I guess you don’t have to be an electrician to do these things! And look at the fab entrance to the party! It’s an exciting alternative to tying 3 balloons to the door to show people where the party is. Katie would never tie 3 balloons. I would, and Katie is still friends with me. She’s accepting of all party planning levels. 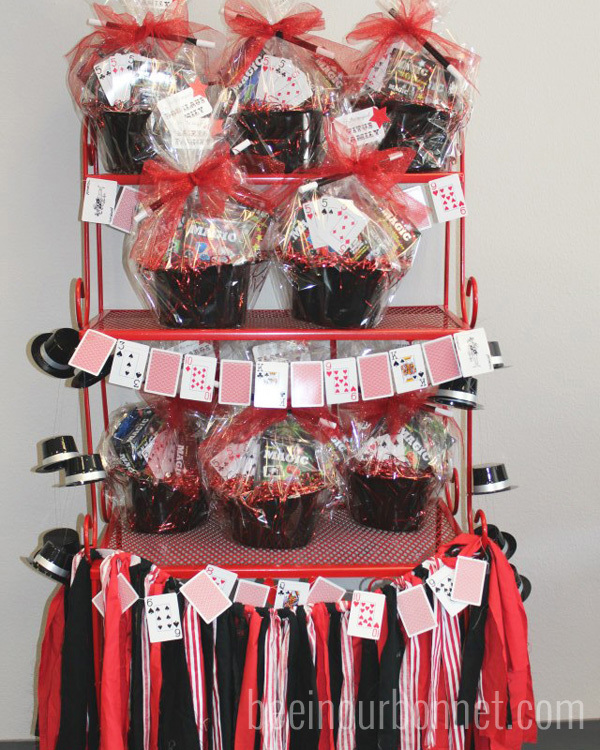 The kids were excited from the minute they walked in the door to the minute they left with this hat full of goodies. 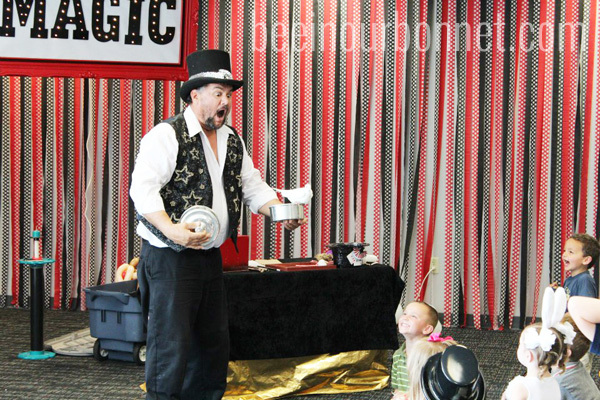 Each family took home their own set of tricks, wand and hat so they could keep the fun going at home. Do you recognize the table skirt? I donated a small something to the cuteness. This used to be my girls’ pirate skirts, then a banner for my pirate party, and now this! 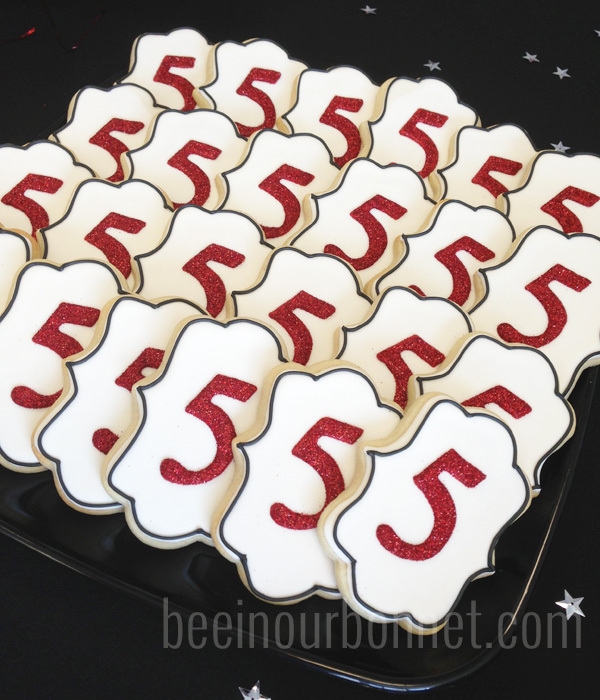 Five might be the perfect age for this party! 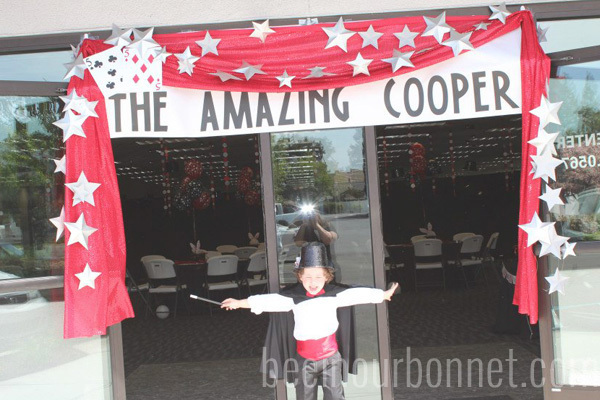 The birthday boy was thrilled with all of his mom’s hard work and I’m pretty sure he believed he actually was/is a magician. 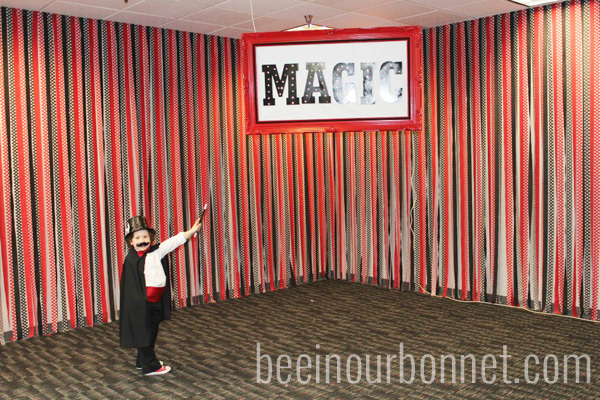 Speaking of his mom’s hard work, check out the backdrop she made for the magic show. 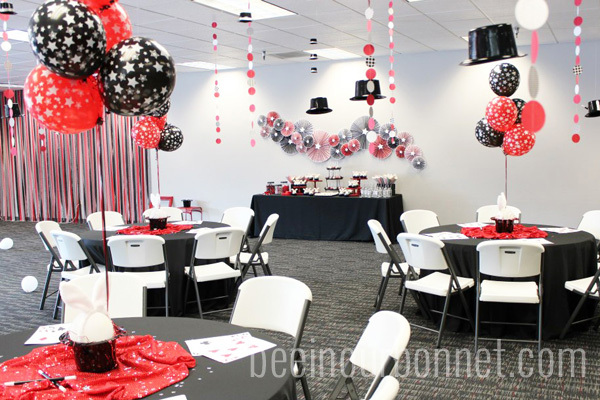 She taped lots of crape paper streamers to the wall to liven up the white walls! 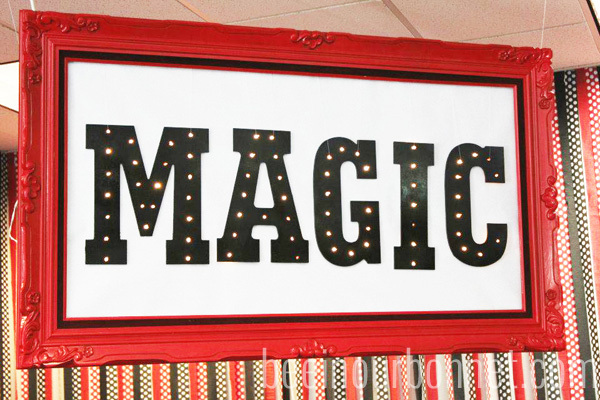 Her boys were dressed up as magicians and her daughter as a white rabbit. Could that be any cuter? What a fabulous party! Love all the details! 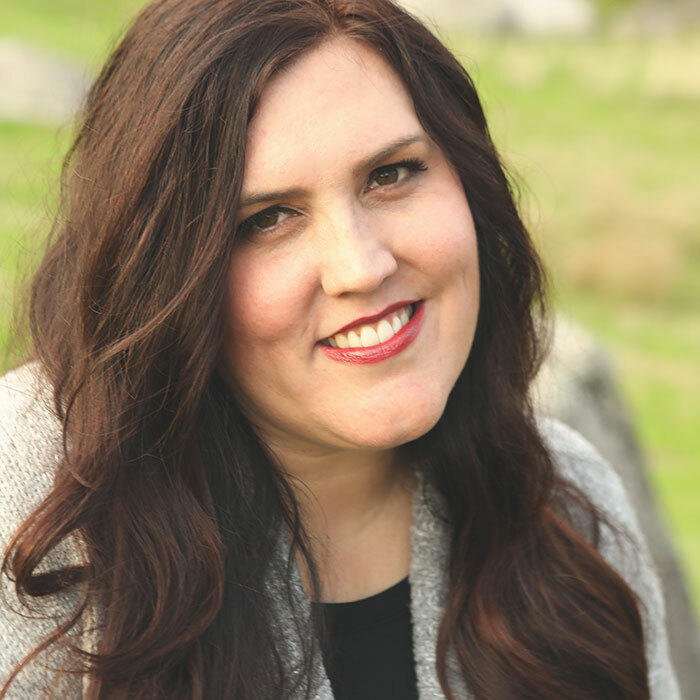 Does Katie have a blog? You throw the best parties! !